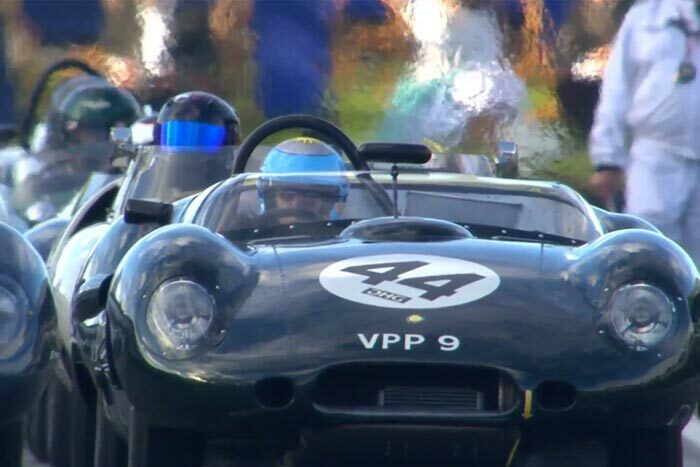 The annual Goodwood Revival took place over the weekend. The three-day festival celebrated the finest that motor racing has to offer from 1948 to 1966. The style, beautiful cars, and racing makes Goodwood Revival one of the best weekends in the motorsport calendar. The Lister Motor Company attended Revival, showcasing the limited edition Lister Knobbly Stirling Moss to 150,000 people over the course of the three-day event. In the traditional final race of the weekend, the Sussex Trophy, Chris Ward added another victory to his Revival list in the JD Classics Lister Costin. 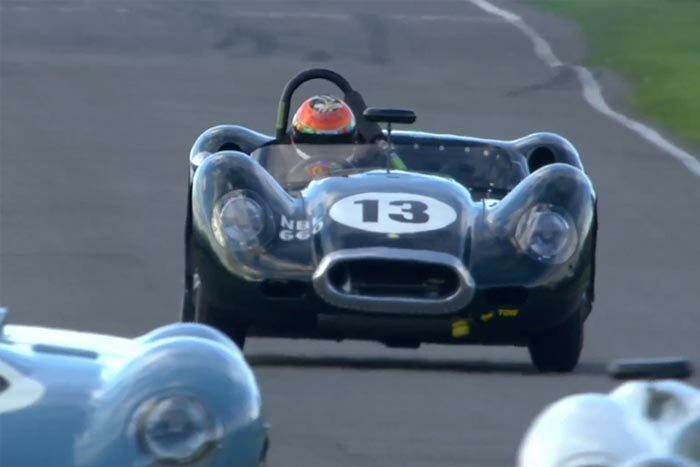 The weekends Revival featured a host of Lister cars from the time racing on the famous track. 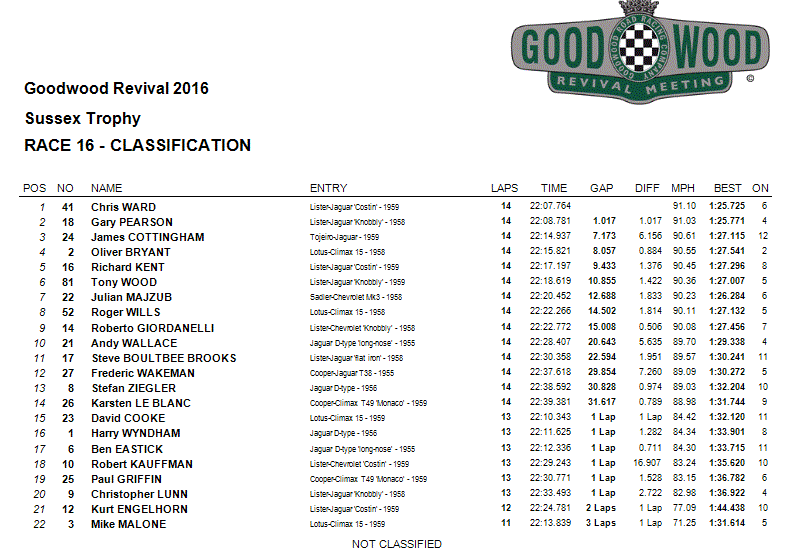 This year’s Revival saw Lister cars dominating the Sussex Trophy. The trophy caters for World Championship Sport Cars and production sports racing cars of a type that raced from 1955-1960, and are perfectly suited to Goodwood’s fast, sweeping curves, producing a stunning spectacle. 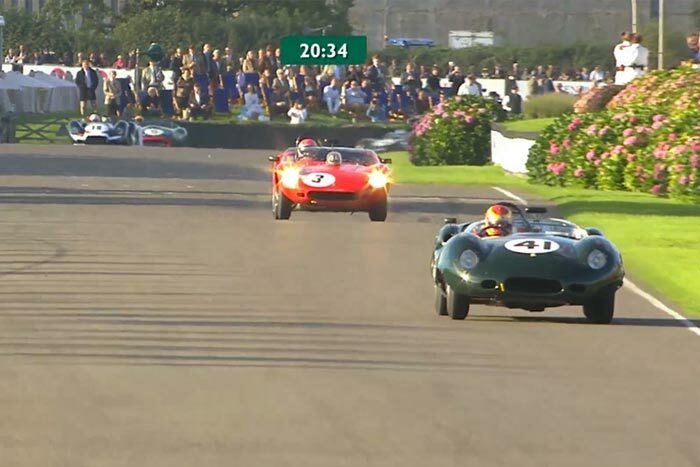 As the shadows lengthened across the Goodwood site, the spectacular Sussex Trophy roared into life as the curtain-call fixture for the 2016 Revival. A number of 'offs' kept drivers on their toes, and amid the skids, there was plenty of balletic driving to enjoy. The Listers dominated the 2.4 mile track length, with nine Lister cars finishing the race. 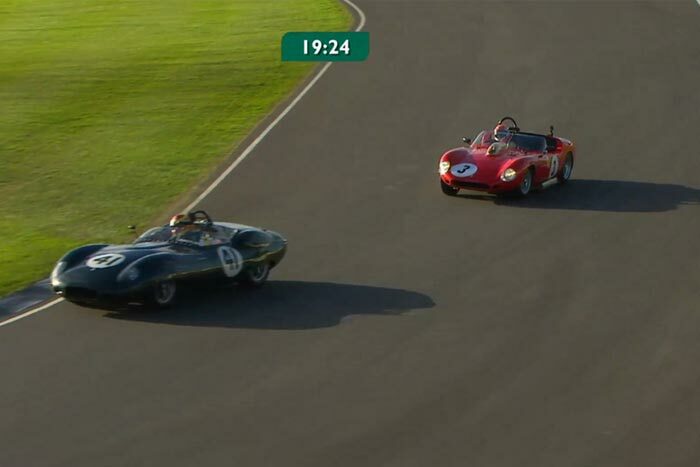 With a race time of 22:07:764 the race was won by Chris Ward in the JD Classics Lister-Jaguar Costin 1959, with Gary Pearson finishing close second with a time of 22:08:781 in the Lister Jaguar Knobbly 1958. Alongside the races, the Lister Knobbly Stirling Moss was on display ‘over the road’ and we are trilled to say that we took an order for another car as well as hundreds of enquiries over the three days. With the Super Lightweight Lister Knobbly Stirling Moss being one of only ten cars, please do not delay if you are interested in placing an order for what will surely become an instant collectors item and the most competitive Lister Knobbly in existence. "It was amazing to see so many Listers racing at Goodwood - I counted 10, which is a fantastic turn out. Also, a win for JD Classics in the Sussex Trophy in the Lister Costin again shows just how these cars still can’t be touched, 60 years on. The Revival is one of the best shows I have been to and a must for any car enthusiast. We will definitely be back next year"
The Goodwood Revival is over for another year- but 2017 is surely set for more exciting things.